Our walk-on glass floors have proved exceptionally popular and are now being supplied on a regular basis across the whole UK for DIY installation. 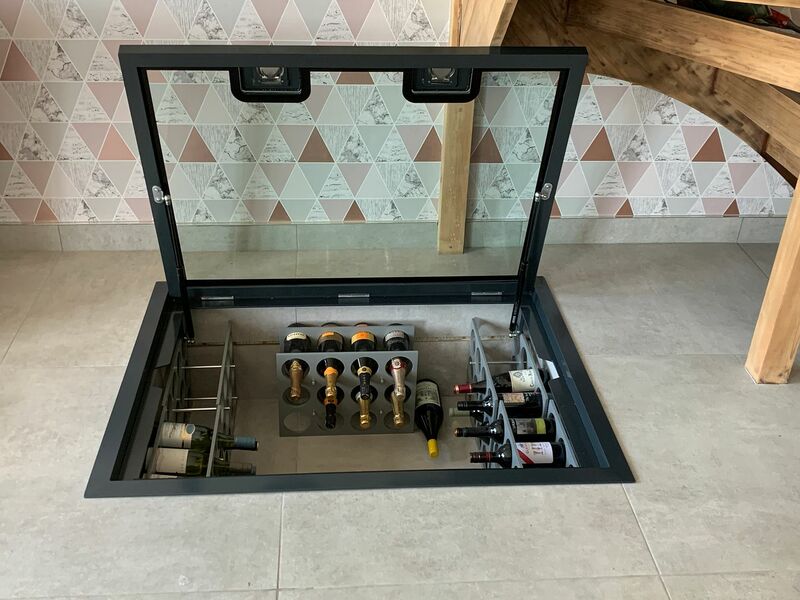 The hinged cellar door systems with glass flooring are particularly popular for displaying wine and champagne bottles as wow-factor features but can equally be used as access to cellars or staircases. The gas-strut design with flush-fitting hinges are a sleek design which operate with little effort to open, and close slowly and safely. Glass is used over acrylic to provide a much higher quality finish and be building regulation compliant to BS EN1090-2 and BS EN1991-1-1 2002. 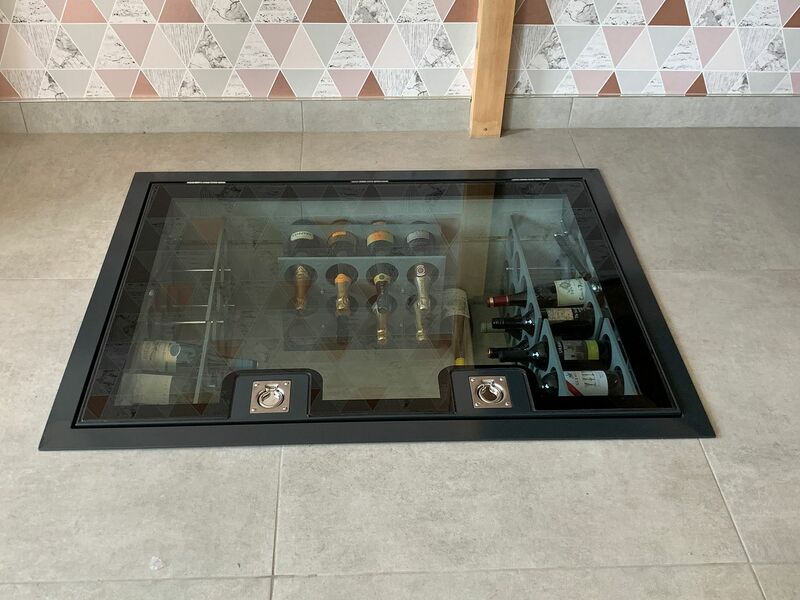 These glass trap door systems are available to purchase online in a whole range of sizes upto 2000mm wide x 1000mm deep- simply enter your sizes online for an instant price and order online if you wish to proceed! Simple. All our walk on hinged frameworks are made to measure and will take approximately 3-4 weeks to construct.